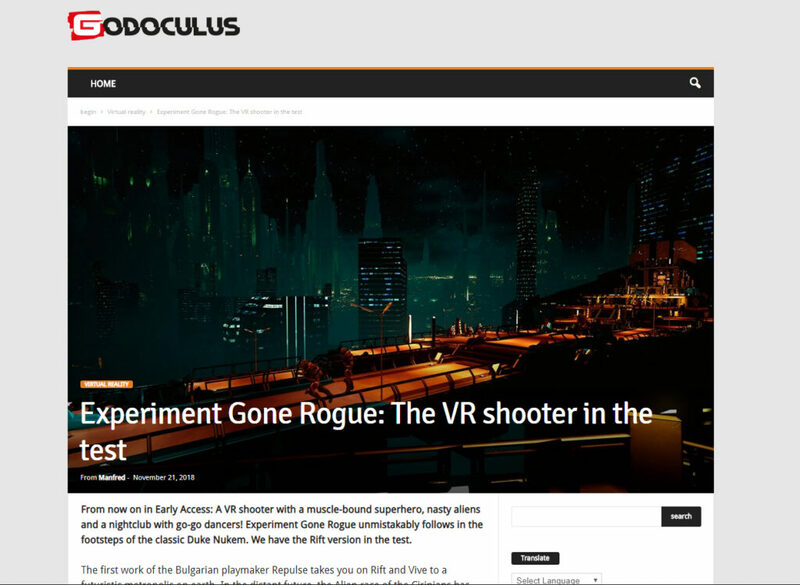 Manfred from the German website GodOculus wrote a long and interesting article about Experiment Gone Rogue in which he gives his two cents about the game. He takes into account the fact that the game is still in Steam Early Access and states that he would like to see how the game improves with the full release. 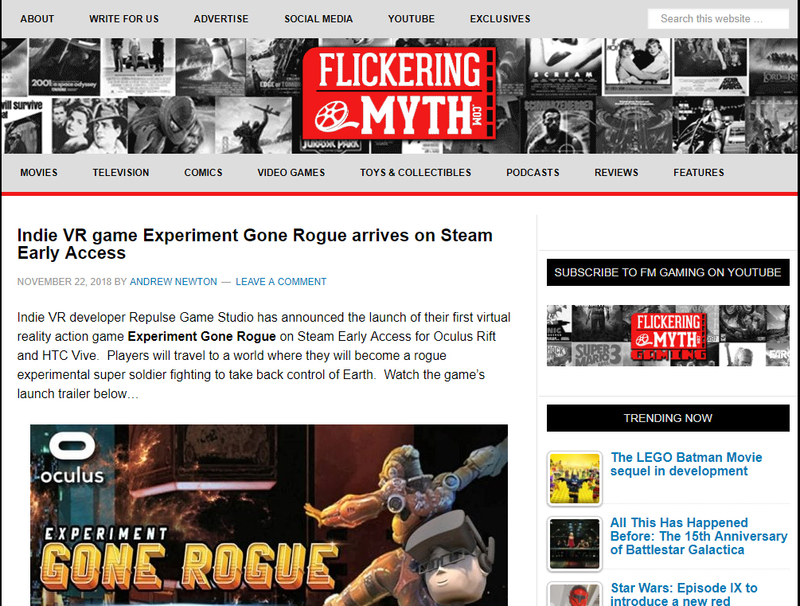 The movie, television, comics, video games, toys and collectibles website Flickering Myth talk about the arrival of Experiment Gone Rogue to Steam Early Access. According to DarkStation the environment in Experiment Gone Rogue is quite Blade Runner-esque, dominated by soaring skyscrapers that ascend from a murky cityscape and lots of colourful neon light. 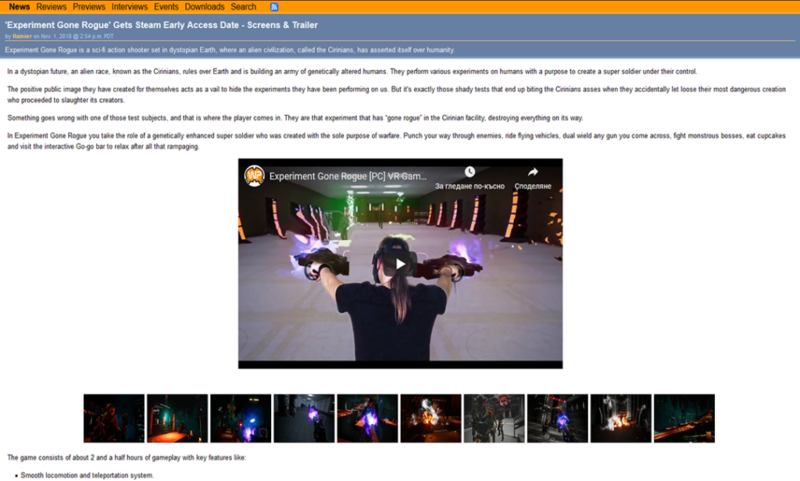 Environments can be used for cover and destroyed, and this can be used to some advantage in battle, though boss arenas tend to be typically empty. At its core, Experiment Gone Rogue is very linear, taking place in a series of narrow corridors separated by ladders, climbing bars, elevators and short platform rides. if you want to read more click here. 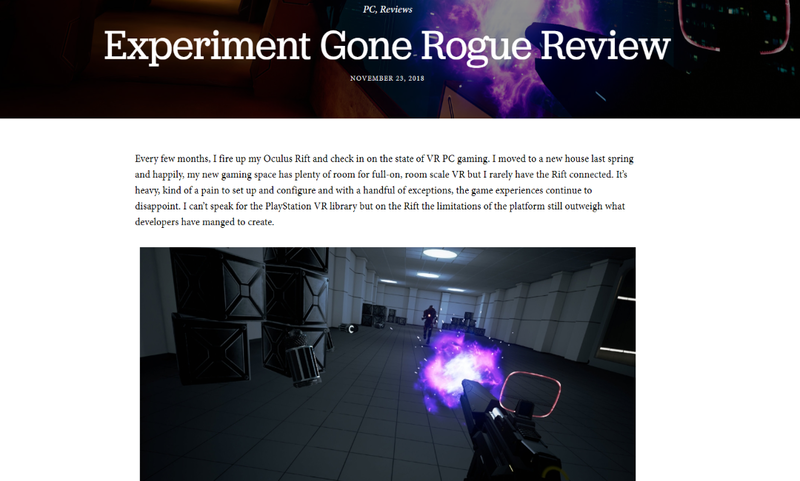 Experiment Gone Rogue will be available on Steam Early Access on November 21, and will support Oculus Rift and HTC Vive. 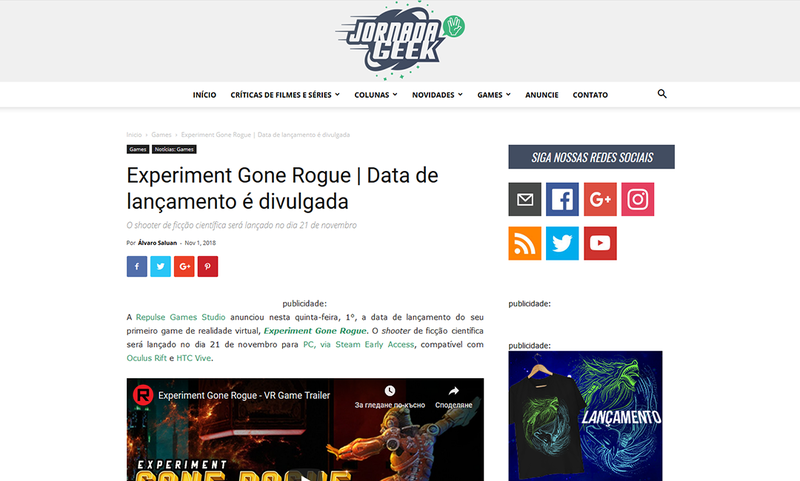 Repulse Games Studio today announced the launch date of its first virtual reality game, Experiment Gone Rogue. The science fiction shooter will be released on November 21 for PC, via Steam Early Access, compatible with Oculus Rift and HTC Vive.